The New 7 Wonders of Nature finalists were released in November 2011. The included places include beautiful and breathtaking waters, a mountain and islands. Here is a look at each of these gorgeous places to visit. The Amazon commonly refers to a large swath of land in South America. It can include the Amazon River and the Amazon Basin, which is the entire area of land drained by the river and its many tributaries. However, most people are familiar with the Amazon Rainforest. The rainforest covers 1.4 billion acres mostly in Brazil but also in Peru, Columbia and a number of other South American Countries. 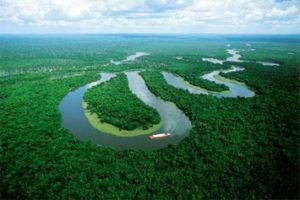 The Amazon provides the home for a diverse range of animal species. 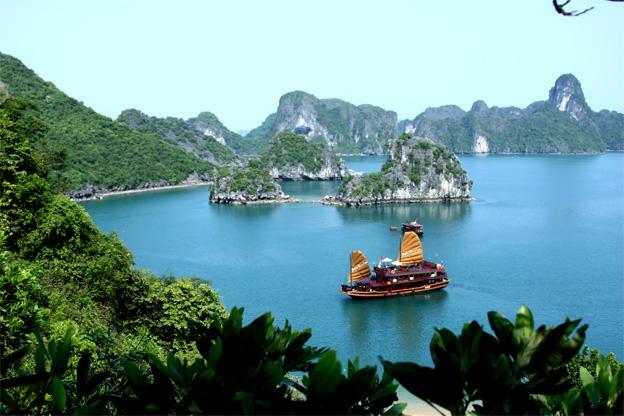 The beauty of Ha Long Bayin Vietnam comes from the two thousand limestone karsts or small islands located throughout the bay. Iguazu Falls is a series of falls located in the countries of Brazil and Argentina in South America. It can be seen here at http://en.wikipedia.org/wiki/File:Iguassu_falls_rainbow.jpg. The waterfall divides the Iguaza River into the upper and lower portions. In fact, this river forms part of the border between Brazil and Argentina. Iguaza Falls is spectacularly taller than Niagara Falls and more than twice as wide. It is a major tourist attraction and can be visited fairly easily. 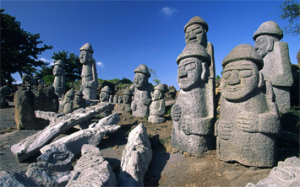 Jeju Island in South Korea is a province located entirely on an island. The island is a volcanic one with a mountain dominating much of the landscape. Another part of the island boasts a pristine forest. The climate is subtropical. Around a half million live on the island and govern themselves autonomously. Tourism is huge here with popular sites including Hallim Park, Mount Halla, a crater lake and fabulous lava tubes. Komodo in Indonesia is perhaps best known for its infamous Komodo Dragons, which are large lizards. However, Komodo is one of the more than 17,000 islands that make up this entirely island nation. Komodo National Park is perhaps one of the best known tourist attractions here. The park takes up the island of Komodo as well as two other large islands and many smaller ones. The park was originally formed to preserve the Komodo Dragon from extinction but also protects marine animals. 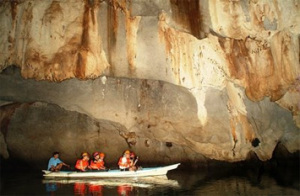 The Puerto Princesa Underground River in the northern Philippines is part of the Puerto Princesa Subterranean River National Park. This river was recently discovered to have several small waterfalls within its cave that flow to a second floor. Although there is little oxygen inside this multiple-miles-long cave, there are beautiful stalactites and stalagmites in the cave as well as numerous bats. Boats with tourists can go partway through the cave. Table Mountain is located beside Cape Town, South Africa. It is mostly known for its flat-topped appearance, which gave it its name. These seven wonders are spread throughout the world in a stunning array of beauty. Each one is a major tourist attraction. All were recognized as winners in the New 7 Wonders of Nature in January 2012. Ron Thompson is an avid blogger who loves to camp and writes for Del-Immune V®, a unique probiotic supplement made from the lactobacillus rhamnosus which is an immune booster that helps fight fatigue and tiredness.